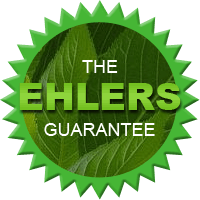 Ehlers Pest Management in Milwaukee is seeking friendly, enthusiastic and dedicated individuals to join our team. As a booming family owned pest control company in Milwaukee and surrounding areas we invite you to come grow with us! Please see below for current career opportunities with Ehlers Pest Management. Come grow with us! Ehlers Pest Management is currently looking for experienced pest control service professionals. If you're hard-working, good with people, and enjoy route work, we have an ideal opportunity for you. We offer competitive compensation, bonus, training and the opportunity for professional development. Print out job application here and send to: Ehlers Pest Management, LLC. 3455 51st St., Franksville, WI 53126. You may also email your job application as an attachment to john@ehlerspestmanagement.com with subject line: "JOB APPLICATION". Ideal candidate will possess a high degree of professionalism and the ability to multitask and manage multiple projects simultaneously. Must be able to quickly learn and retain knowledge of functions in databases or other software relevant to the position. Candidate will assist with all general office administration functions and projects, including: payroll, accounts payable/ receivables, invoicing, collection, calling customers, setting/verifying appointments, providing assistance to employees, route organization, and maintaining files. Please provide your qualifications and salary requirements to be considered for this unique opportunity.